A Haverhill man has made hundreds of vehicle magnets, hoping someone would see his message and step up to save his wife's life. 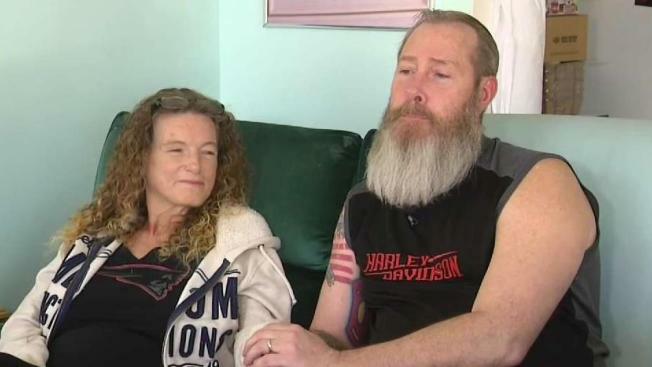 A Massachusetts man is taking to the roadways to find a liver donor for his sick wife. Brett Penney of Haverhill has made hundreds of vehicle magnets, hoping someone will see his message and step up to save his wife's life. Penney says he would do anything for his Danielle. "She's sweet, she's kind, she's generous," he said. 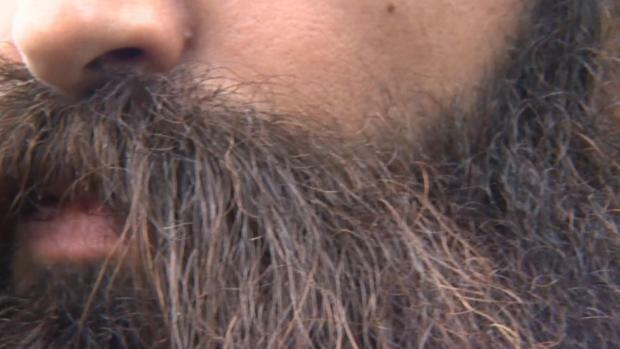 But when it comes to donating part of his liver, doctors told him he couldn't do it. "We're not a match ... in that way," Danielle said, laughing. In another way, they've been the perfect match for the last 30 years. "She's been my angel. She's saved me from day one," Brett said. The thought of losing her is crippling. "She is my whole life. I can't lose her," he said. Danielle was diagnosed with liver disease a couple years ago and her health is quickly deteriorating. "There are just days where I am just so tired I can barely function," Danielle said. She's on a transplant list, but doctors say she's better off finding a living donor. Instead of worrying about losing Danielle, Brett has decided to do everything he can to save her. He started with one vehicle magnet for his car that read, "My wife needs a liver," and included a contact number. Soon enough, Brett's friends and family started requesting magnets, too. He has now handed out hundreds to people across the country. Oftentimes, Brett says he drives up and down the highway hoping someone answers his call. "I think it's going to work," he said. "I have faith," Danielle added. She says she loves the idea, almost as much as she loves Brett. "He's my rock. He's always there for me," she said. "He's my protector and my guardian." The two never needed anyone else until now. They're searching for a stranger to save a life and a love story that's got a lot more pages to be written. "We're going to grow old together, it's what I always wanted," Danielle said. If you want to learn more about whether or not you can help, click here or call (617) 632-9717.